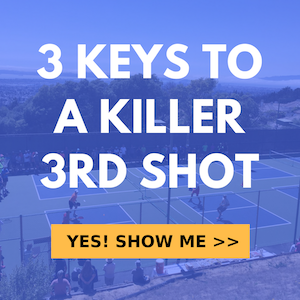 In this video, we’re going to cover how to setup and hit an around the post (ATP) shot. Jordan will break down what to look out for when an opportunity to hit an ATP is about to present itself. He will also cover where to make contact and where to aim. This is a fun shot to hit and a great shot to have in your arsenal of options. It’s very difficulty for an opposing team to defend an ATP shot.